Happy May Day and Beltane Everyone! Spring time is in full swing with new life, flowers and a lovely energy that encourages us to create something new in our lives. 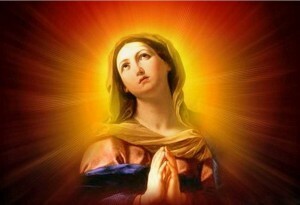 The month of May we celebrate this beautiful feminine energy of creation with Mother’s Day, May Poles and Mother Mary. Mother’s message this month captures this soft loving energy of acceptance. It is often the soft energies of change, that bring us to our joy, that we resist the most. We can become terrified by love you ask? Love asks us to look deeply into ourselves and say I LOVE YOU to all that we find. Let Mother Mary’s message this month gives you the courage to look at the good, the bad and the ugly within your soul and start this beautiful process of accepting your soul. My beloved children, today is a beautiful day, are you enjoying it fully? Did you wake up in the morning grateful for that full breath of air? Did you greet the first person with a smile or a frown? Not all of us are as graceful to rise in the morning but this is not what I ask you to witness within your heart. I see many of you awake from slumber to only wish to have another life to awaken too. We have forgotten to seek the joy within our heart when starting the day. We instead leap from our dream world to our daily grind of work, lessons and experiences. Seeking joy and beauty within our daily experiences becomes a fast food fix instead of daily nourishment. This beauty I speak of brings tears to our eyes when we witness a sunset, embrace a loved one and feel a lovers’ caress. Beauty is that soft breath of love from your own soul. When was the last time you fully accepted the beauty of your existence? You’ve done a wonderful job of exploring the very depths of your fears, past lives and family patterns. You’ve dissected your physical and emotional sides seeking that negative pattern that holds you back. But as you lay spread apart in front of yourself like a disassembled puzzle do you remember how to put your puzzle back together? But Mary you told us to find yourselves! I hear you cry. Yes my loves , we all must find our inner truth and learn to trust it even if this means releasing those parts of ourselves that no longer serve us. As our world falls apart reflecting this changing energy it is the loving energy of acceptance we need to transform the new being within we’ve discovered. Change and transformation is happening to us all my loves with or without your participation. You are pass the mid way point and coming into a new place of understanding. When we embrace our own beautiful soul in the energy of acceptance we allow these pieces of consciousness to flow as one creating joy, stillness and love even while chaos stirs the world around us. Acceptance is the soft feminine energy that is growing within your world now. It is this energy that needs to be cultivated within our hearts to manifest it within our daily lives and communities. Always our inner worlds must change first to see the changes we wish around us. Continuing the fear is not the answer, but love, gratitude and acceptance are our keys to success and these loving actions are very easy to begin today. How can you start to accept the beauty within yourself you ask? Focus happens where ever you place your attention. You can choose to accept what you find in yourself today, to accept the flaws and the strengths. You can see yourself through a loved one’s eyes, seeing with their heart what you cannot see. Accept both your outer beauty with your inner spirit. Both are so important to defining your beautiful self. This process may seem overwhelming but you have the rest of your life to accept and understand this amazing spirit and experience you call life. So tomorrow when you wake greet that morning light with hope, tell yourself on this day I can accept myself so that I can become a whole being of love. You are already fully loved, accepted and appreciated in every way by Divine; it’s time you began to believe this within too. Call to me my loves; my loving hand is here to hold yours and to help you in any way as you fall in love with self once again.